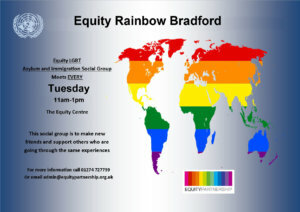 Equity Partnership is a small grassroots charity supporting LGBT people. The Board of Trustees requires support for the board to enable the organisation to move to a stronger and more sustainable position. The board has seven capable trustees, who need support to reach their full potential. The Chair – Mentor will support the named chair and the board through mentoring and modelling, to develop the capacity of the board of trustees to lead the organisation effectively. Full job description and details of how to apply can be found here.